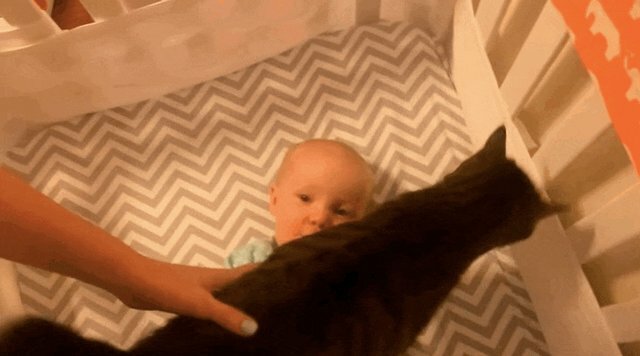 Sometimes babies and their cats just really, really love each other. 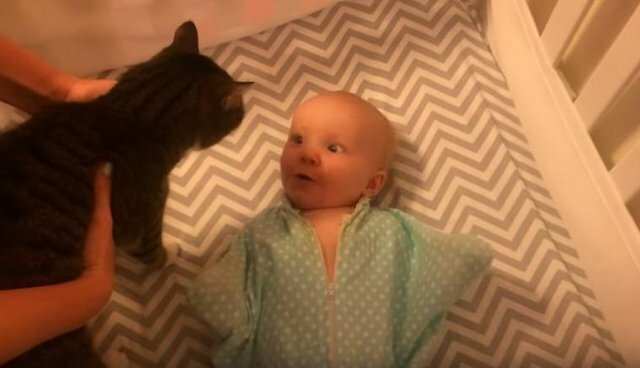 This baby might possibly love her kitty a little too much ... she absolutely flips out as soon as she sees the cat come in the door. And then when her kitty comes to hang out in the crib with her, she's all like OMG CAT, and flails her tiny limbs around with joy. Meanwhile, the cat is probably thinking, "This hairless kitten sure is a weirdo." Kaitlin Merkley explained on YouTube that her daughter's love for their cat is, well, a little out of control. "She's incapable of controlling her limbs when her kitty is around," she wrote. "The obsession grows every day." 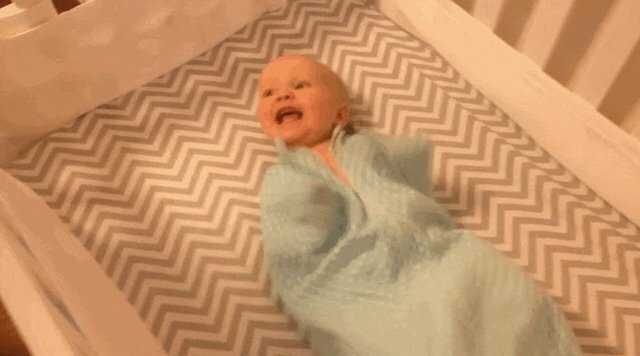 The baby even loves it when her kitty casually walks right across her little body. That's probably a sign of love on the kitty's side, right? 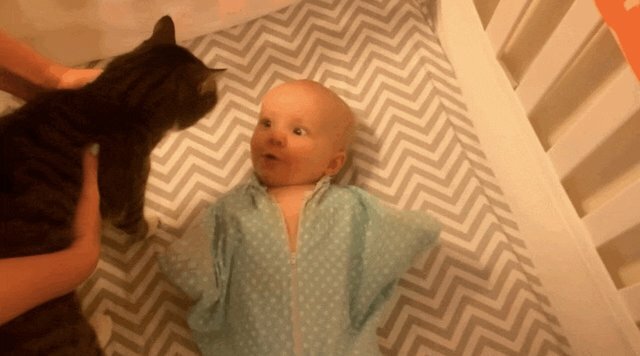 This kiddo is definitely going to be a cat lover for life.